NYC, 04/17/2019, 2:00PM. 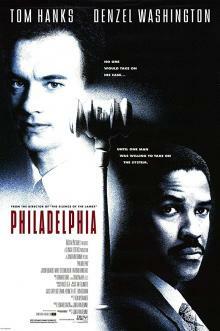 Philadelphia (1993): Two Time Oscar Winning Drama With Tom Hanks And Denzel Washington. 125 min. Director: Jonathan Demme. Starring Tom Hanks, Denzel Washington, Roberta Maxwell. Hanks won the Academy Award for Best Actor at the 66th Academy Awards for his role as Andrew Beckett in the film, while the song "Streets of Philadelphia" by Bruce Springsteen won the Academy Award for Best Original Song. It has also three other nominations for Best Screenplay, Best Makeup and another Best Music.